The correct dose of bee pollen for you will depend on several factors; what form of pollen you're planning on taking (capsules or granules), the reason you're taking bee pollen and lastly, if you've ever taken it before. Over the years I've witnessed effective doses ranging from a few granules a day all the way up to extreme amounts as high as two cups daily. You'll want to experiment with bee pollen to find the minimum amount you need to take to obtain the maximum benefits. 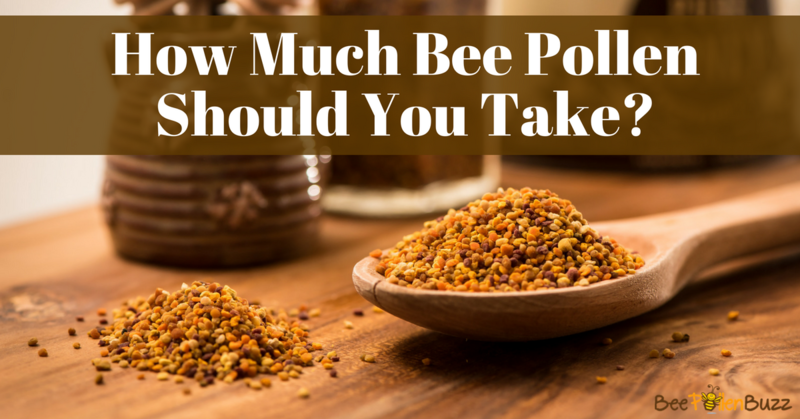 If you've never taken bee pollen before, it is important to start out with a small, conservative amount regardless of the form you're taking, and work up to your daily dose, whatever that amount may be. If you are taking bee pollen granules, begin with 1 or 2 granules on day one. Place them under their tongue and let dissolve or simply chew them. If you experience no reaction, double the amount of granules you consume on day two. Continue this for at least a week. If you are using a capsule, you'll need to twist open the capsule and dump a very small amount of the powder out. I suggest mixing it in juice, water or your favorite beverage. Apple sauce, honey, granola or cereal also work well. On day two, slightly increase the amount you remove from the capsule. Again, do this for at least a week while you build tolerance. Once you've determined that you tolerate bee pollen well, you can begin taking a full dose on a daily basis. For general health purposes, my recommended bee pollen dosage is 1 - 2 heaping teaspoons of the raw granules per day. Mix them in juice, a smoothie, yogurt, apple sauce, cereal or simply chew them and swallow. For general health purposes, my recommended bee pollen dosage is 1000 mg - 2000 mg per day taken with water or juice. If you are treating a specific health condition or concern, you may wish to take larger amounts of bee pollen daily than those listed for general health. Below I've made specific bee pollen dosage recommendations for more specific conditions. Allergies are a tricky thing. My husband Mark has battled with seasonal allergies for most of his life. 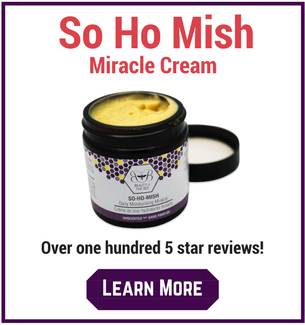 As he will tell you, adding bee pollen and other bee products helped him more than any other product out there. More than Claritin. More than Allegra. More than allergy shots. And all without any side effects. So here are some recommendations and pointers. Start with bee pollen early. If you have allergies in June, start taking pollen in January. The longer you give your immune system to adapt to the pollens the better. Read this article on bee pollen and allergies. In fact, many people report that their second summer of using pollens is usually much better than their first. Use it continuously through the summer and winter leading into the next allergy season. Follow my tolerance test to determine your sensitivity to bee pollen. Especially when dealing with allergies. Work your way up to a standard daily dose of 1 tablespoon of raw granules or 2000 mg to 3000 mg in capsule form. 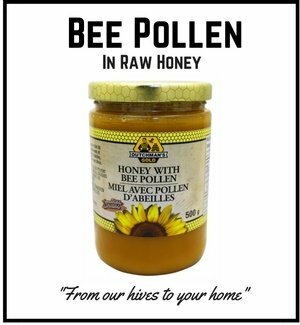 Consider also taking local, raw honey in addition to bee pollen for your allergies. Read this article on how best to use it. Much of the world is in an energy crisis. I'm not talking about the global oil supply. People are flat out tired. And no wonder. We work too much, rest too little and fuel our bodies with foods devoid of any nutritional value. Plus we're exposed to about 200 different chemicals every day that our ancestors weren't. And don't get me started about our consumption of stimulants. Read my article on bee pollen for energy if you can't wait for your next grande cappuccino or Red Bull. The fact is, there are much healthier ways to go about ensuring you have abundant, natural energy throughout the day. Bee pollen is one of them. Loaded with an abundance of vitamins, minerals and amino acids , bee pollen literally has every nutrient needed by man to not just live, but thrive. It hasn't been referred to as 'Nature's Most Perfect Food' for decades for no reason. The human body is a metabolic engine. Feeding your body bee pollen regularly is like putting high octane fuel in your car. It just runs better. Take one to two tablespoons first thing in the morning with a balanced breakfast. I mix my morning pollen right in with my protein power smoothie. This will ensure clean burning, nutrient rich, balanced energy for the first part of your day. Need a quick snack? Take up to a half cup of pollen if you're on the go and need a healthy snack that will leave you feeling full. I find one to two tablespoons in a pinch can hold me for a couple of hours easily. Pre-workout energy boost? Take a tablespoon one hour before your workout. Especially if you're trying to lose body fat. I find bee pollen makes me feel quite full despite being very low calorie. If you're using capsules or tablets, take 3 - 6 thirty minutes before you train. Generally, capsules have been pre-ground so they are easier to digest and are absorbed more rapidly. Take another tablespoon or 6 - 12 capsules immediately after your workout to stimulate the recovery process. We're a pill taking society obsessed with living forever. As a result, things like multi-vitamin supplements have had entire industries created around them. Most multi-vitamins are made in a lab. A lot of companies do a pretty good job. Man-made, synthesized vitamin supplements have been shown to extend life span without question. But I suspect that you're not interested in just extending your life. If you're like me, you're interested in outstanding health AND longevity. Abundant energy, no need for doctor prescribed chemicals, a powerful immune system and a body that can enjoy life. That is where bee pollen comes in. No scientist, no pharmaceutical company, no supplement company has ever developed something that contains over a dozen vitamins, 28 minerals, 11 enzymes and co-enzymes, and 14 fatty acids as well as 10 amino acids. And they likely never will. For the most complete, bio-available, health promoting multi-vitamin and mineral supplement on the planet, try taking a heaping tablespoon of raw bee pollen every morning. If you're taking capsules, take at least 2000 mg per day. It is common knowledge that the heavy demands of training many athletes put themselves through increases their nutrient requirements to levels much higher than the average sedentary adult. We also know vitamins and minerals are lost at high rates through sweat as well as through the increased need for anti-oxidants to combat the additional free radicals generated by intense exercise. These facts alone suggest adding bee pollen to an athlete's nutritional regime might be wise. Bee pollen is 25% protein and contains all the essential amino acids including the critically important Branch Chain Amino Acids. BCAA's just so happen to be your muscles first choice for energy during intense activity. If you're an athlete of any type, you are likely aware of the additional protein requirements you have. Furthermore, if you're an athlete who doesn't tolerate the milk based proteins (whey or casein) that make up most of the protein supplement market today, bee pollen is a perfect fit for you. Have you tasted hemp or rice or soy protein? Ugggghhh. Despite many advances in flavoring, these vegetable proteins still taste quite....'earthy' to say the least. Bee pollen on the other hand actually tastes quite nice. Perhaps even more important than the amino acid content of bee pollen are the vitamins and minerals it contains . Like I said earlier, intense exercise generates tremendous amounts of free radicals. Free radicals can only be stopped by anti-oxidants such as Vitamin A, Beta Carotene, Vitamin C, and Vitamin E.
All of these just so happen to be found in bee pollen in a perfectly bio-available state. A state that nature created and can not be duplicated by man in a lab. As an athlete, you also tend to experience increased sweat loss. Most vitamins and minerals are water soluble. This means that you only need water to absorb them. But it also means that you can and do lose them through sweat. And the more you sweat, the more you lose. So replacing a mineral such as magnesium, which has over 300 duties in the body including helping manage your heart rate, is very important. Magnesium also aids in proper muscle function. Raw Granules: up to 2 cups of bee pollen per day. Consume a 1/2 cup one hour before your workout and an additional half or full cup post workout within one hour of completion. Capsules: up to twelve 500 mg capsules per day. A typical athlete's dosage might be 6 caps 1 hour before a workout and an additional 6 within 1 hour of completing the workout. If you have a question about how much bee pollen to take for a condition not listed above, email us here. There are many bee pollen products on the market, many of which are very poor quality with very suspect ingredients. 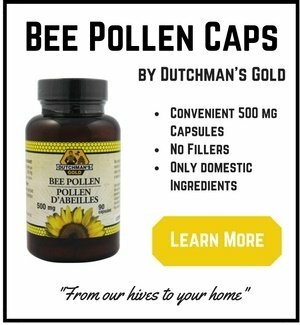 I regularly get solicited by companies from all over the world selling cheap, low grade bee pollen that is contaminated with antibiotics, heavy metals and other impurities. 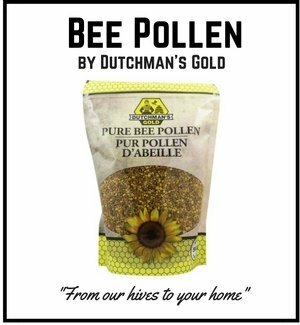 I use and only recommend Dutchman's Gold Bee Pollen. You can find them here.